STUNNING FROZEN WHITE PAINT WORK, FULL GLASS PANORAMIC SUNROOF, SAT NAV, DAB RADIO, APPS, BLUETOOTH, BIG SCREEN, 16 INCH ALLOY WHEELS, REAR PARKING AIDS, LOCAL LADY OWNER, LOW MILEAGE, NEW MODEL. PLEASE CHECK OUR WEBSITE OVER 120 LOW MILEAGE CARS AVAILABLE AT WWW.LOWCOSTMOTORCOMPANY.CO.UK Credit problems? ?.Not a problem.Contact Lee (No one tries harder to get you credit). Please visit website www.lowcostmotorcompany.co.uk to view more photos and also complete online finance application form. 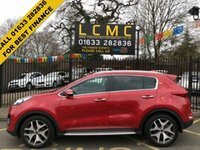 RESERVE this car for 100 pound deposit fully refundable if you are unhappy with the vehicle in any way once you have seen it. Call us for the best possible part exchange price. We always have over 100 cars in stock, and have some of the cheapest cars on Autotrader.